Welcome to the Pollock-Krasner House and Study Center audio tour. First, let’s get our bearings. 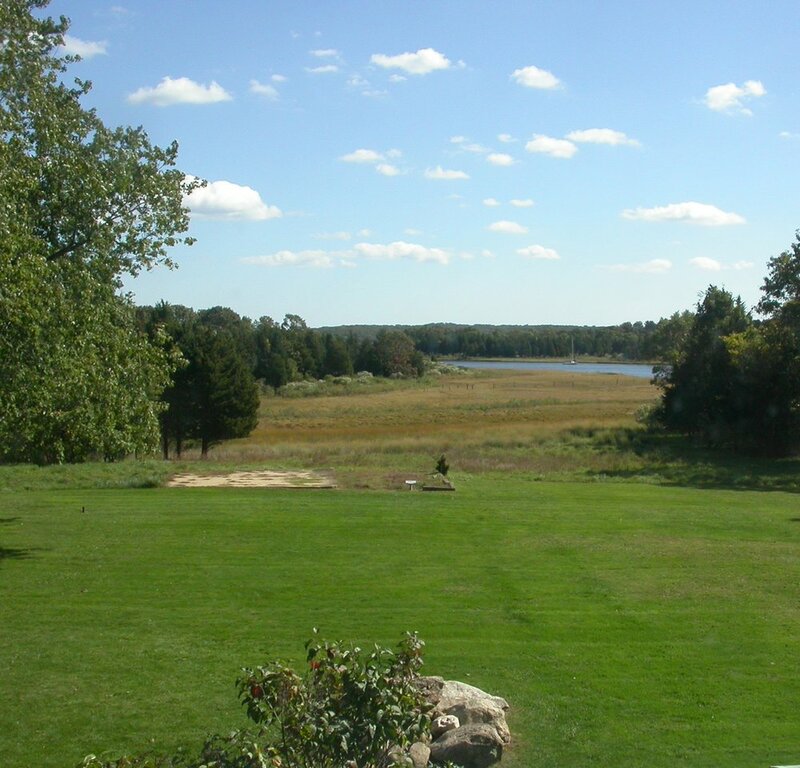 The body of water behind the house is Accabonac Creek. Accabonac is a Native American word meaning “a place where ground nuts are found.” The creek flows north--to your left as you face it--out to a small harbor that opens into Gardiner’s Bay. Also to your left, next to the white museum store building, is a small white shed called a privy or outhouse--an outdoor toilet. It’s no longer in use, but you’ll find a handicapped-accessible toilet at the back of the converted garage, which is now a restroom and office. Beyond the old privy is the shingled barn that became the artists’ studio. 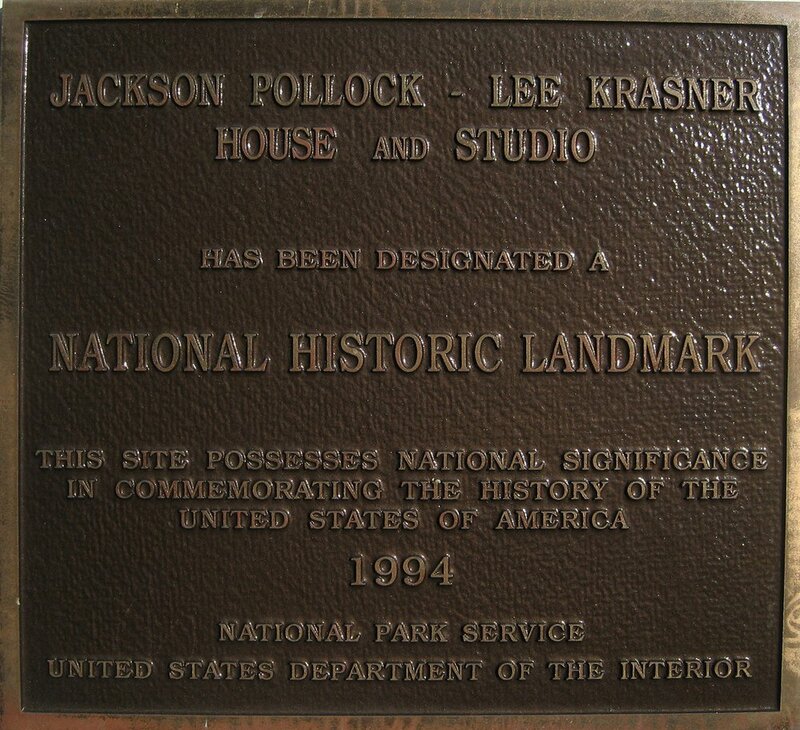 The other building on the one and a half acre property is the house where Jackson Pollock and Lee Krasner lived, and also had studios. Your tour will take you inside the house and the barn studio. Both buildings are climate controlled, so please remember to close the doors after you go in. The property is a National Historic Landmark. It belongs to the Stony Brook Foundation, a non-profit affiliate of Stony Brook University. The house looks much as it did when Lee Krasner lived here, with its original furnishings and things that belonged to both artists. But it’s a museum now, so we must ask you not to touch the objects on open display, and not to sit on seats that are marked fragile. If you have any questions, our staff will be happy to help you.